Did you know gold has been found in nearly every state? The states with the highest gold production in the past century are mostly in the West, but there has also been a lot of gold found in the southern Appalachian Mountains. Smaller occurrences occur throughout the Midwest and Northeast too. 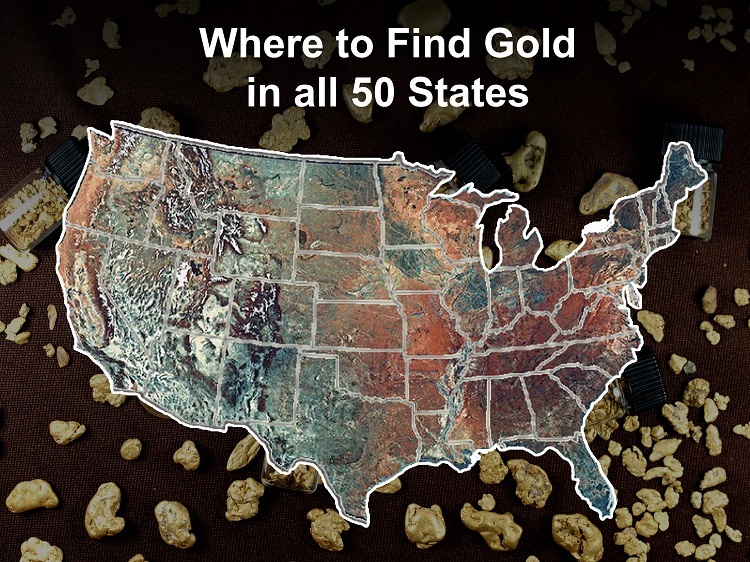 The list below gives a quick overview of gold in each state. The links will lead you to additional information on specific creeks and rivers that are worthwhile for panning. Some people would be surprised to learn that Alabama actually had a considerably large gold rush during the 1830s. The area with the most of the gold is in the northeastern section that borders Georgia. Talapoosa County and Cleburne County made up the majority of what was mined. It is no surprise that Alaska is one of the richest states for gold mining, with some of the biggest strikes occurring at Nome, Fairbanks, and the Klondike (actually located just over the border of the Yukon Territory). Alaska was one of the last states where gold was discovered, and still holds great potential for mining. It is also one of the most “miner friendly” states. Many residents of Alaska still make their living from placer mining in this great state. Although not necessarily the richest state in the country, Arizona probably has more prospectors than any other state. This is primarily because of all the people that reside here during the winter months. Arizona also has very widespread goldfields. 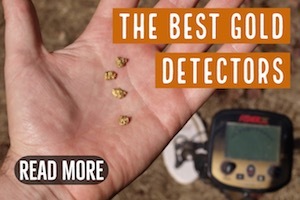 There are countless areas that a person can prospect, and it’s also very productive for metal detecting because there are nuggets to be found and the bedrock is often shallow. This is generally considered a poor state for prospecting. The known gold occurrences are in the Ouachita Mountains. Most treasure hunters here are better-off digging for quartz crystals or searching for diamonds at the only active diamond mine in the United States. 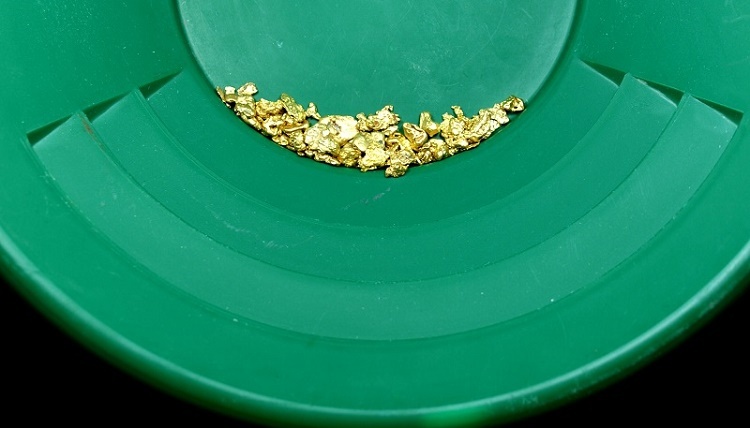 It’s likely no surprise to anyone that California is one of the best states to find gold. The extent of the gold found throughout the Sierra Nevada Mountains is unlike anywhere else in the country. There is also a lot of gold in Southern California too. In fact, I would go so far as to say that California is still the best place to prospect for gold in the USA. While the regulations on mining in recent years (including the ban on suction dredging) have made things more difficult, the sheer volume of gold still hidden in the ground is immense. I know several people that are able to make a modest living by prospecting for gold in California. The Pike’s Peak gold rush was the height of gold mining in this state. Most of Central and Western Colorado has gold, much of it being lode gold. Many of the rich mining towns and major mines are now tourist destinations. You will have to think “outside the box” to find areas with gold, but there is definitely plenty of it out there left to find. 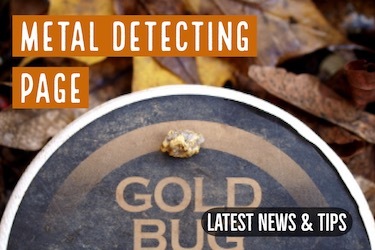 Gold isn’t being mined commercially in Connecticut to our knowledge, but there are still some small placer deposits that will produce gold for a recreational prospector. Leadmine Brook near Thomaston is one area known for gold. Spruce Brook is another. Both are tributaries to the Naugatuck River. You will also find some gold in the Farmington River. The gold is small, so pan carefully to recover the fine gold dust. Delaware is pretty poor when it comes to gold. The geology isn’t suited to having any gold, and historical documentation of previous discoveries is limited to nonexistent. You are probably better off searching in nearby Maryland or Pennsylvania if you want to find much. Unfortunately there isn’t much of any gold to be found here. Not in its natural form anyway. Swinging a metal detector on the beaches is probably the only way you are going to find any. In Florida, I would probably spend most of my attention looking for fossilized shark teeth or Indian artifacts. If you want to find some gold then you’re going to want to venture north into Georgia. The biggest gold rush on the East Coast happened in Georgia. The area around Dahlonega was a particularly rich place, and a U.S. Mint was even operated here for a short time. The Chestatee River, Chattahoochee River, Etowah River, and Little River were some of the major areas that miners found gold, but there are hundreds of tributaries that also carry gold. Georgia also has some of the highest purity natural gold deposits in the world, occurring both as lodes and placer deposits. Hawaii is one of the few states where I can confidently say that there is no gold. The geology simply doesn’t cause the natural formation of gold. There are however plenty of gold rings and pendants in the beach sands! There are a lot of gold mining opportunities in Idaho. It also has some very remote goldfields that don’t get much attention. The potential for future gold discoveries is high. The Boise Basin is the richest area. It covers a large area north of Boise. Other rich gold districts include Silver City, Murray, Florence, Warren, and Atlanta. Much of the gold found in Idaho is lode gold and requires removal from the host rock to be mined effectively. The gold in Illinois is all glacial gold, brought down from Canada. It isn’t big nuggets, but rather fine gold dust. Some places that gold has been found includes the Sangamon River, Spoon River, Vermillion River, and Wabash River. Since none of these gold occurrences are commercially viable, there is limited information about where to find it. Prospecting new areas is very important to your success. Another state with small glacial gold deposits, you will find that most of Indiana’s gold is small dust. The northern parts of the state seem to contain better concentrations. The gold here is small, but it’s also widespread. The Volga River and its tributaries will also produce some fine gold. Fine gold has been found in the Big Sioux, South Skunk, and Turkey River as well. The Iowa River is a known producer when the water level is low and the gravel bars are exposed. Kansas is a relatively poor state for prospecting. There is a small area in northeastern Kansas that was once covered by glaciers of past ice ages, and very fine glacial gold can be found. The Arkansas River and Smoky Hill River both drain some rich mining areas in Colorado. They do contain some fine gold as well. All flour gold. Kentucky is one of the poorest states in the US to prospect. In fact, it is one of the few states that I don’t know if anyone has ever actually found any at all. It is too far south for glacial gold deposits. I would be looking at a neighboring state if you want to find any gold. Louisiana is another state that doesn’t have much likelihood of having much gold. I have seen some pictures of gold that was recovered from this state. It was super tiny. Maine not only has some decent areas to prospect for gold, but it has actually produced some very large nuggets in the past. The Swift River is probably the best place in all of New England. 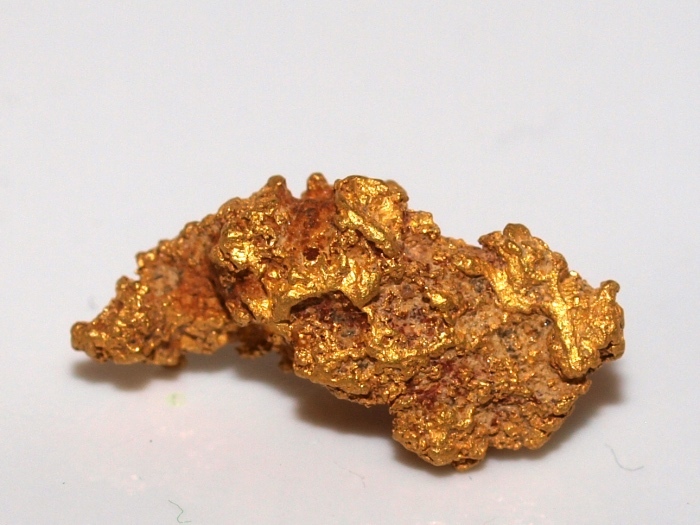 Multi-ounce nuggets were found here when gold was first discovered. I haven’t heard of anything that large being mined in recent years, but there is still plenty of gold that you can pan. Other areas with gold include the Sandy River, Gold Brook, Cupsuptic River, and Aroostook River. Plenty of smaller brooks have gold too. Surprisingly, there were some sizable hard rock mines in Maryland, some of them were not far from the White House. The Potomac River near Great Falls has some placer gold, and this area has quite a few small abandoned mines as well. Finding open ground to prospect today might be a challenge though. Mill River and Berkshire River both have some glacial gold deposits. All of the gold you will find in Massachusetts is going to be find textured. The richest area to prospect for gold is near Ishpeming in the Upper Peninsula. This is where one of the few commercial gold mines was active in Michigan, the Ropes Gold Mine. The surrounding area does have gold too. Carefully panning the creeks in the Upper Peninsula will often result in gold. Smaller deposits can be found throughout the state. 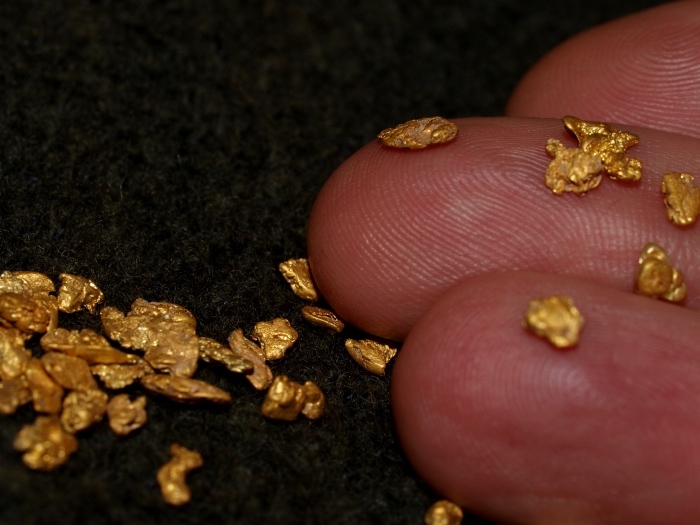 A short-lived gold rush occurred near Lake Vermillion. It didn’t last long, as the miners soon discovered that the gravels didn’t pay a living wage. There’s still enough for the casual prospector to enjoy though. A similar gold rush occurred at Rainy Lake near the Canadian border. Considerable gold has been found as a by-product of the iron mines in Minnesota, but the average prospector is not going to have the technology required to extract gold from these ores. This is a poor state for gold prospecting. Your time would probably be better spent traveling to neighboring Alabama in search of better panning areas. Glacial gold deposits only occur in the northernmost parts of Missouri. The gold is fine. You won’t get rich, but you might find a bit of color. Montana has a wonderfully rich gold mining history. There are dozens of old mining camps (some of which are very well preserved) that were left behind. Most of the gold is mined in the more mountainous, western part of the state. Helena was the site of one of the richest gold strikes. Another major strike was made at Virginia City and nearby Bannack. 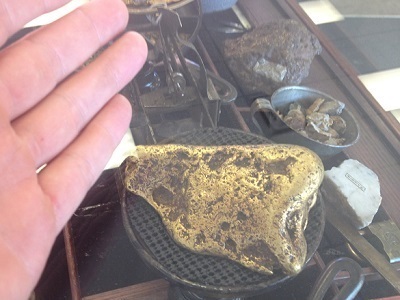 In Butte, there is a monster 27-ounce gold nugget on display at the college. The eastern part of Nebraska was once covered by glaciers from Canada, so you can probably find some small bits of gold there. The North and South Platte River drain some rich gold country in Wyoming and Colorado, but by the time it reaches Nebraska, only the finest particles of gold remain that are light enough to be moved as flood gold. Nevada is currently the largest producer of both gold and silver in the US. This is due to the large open pit mining operations that are found in the northern and central parts of the state. For a small-scale prospector, Nevada is still an amazing state, definitely one of the best. The remoteness of many of the gold districts means that it has received less mining pressure than most other states. Northern Nevada is particularly popular for metal detecting. 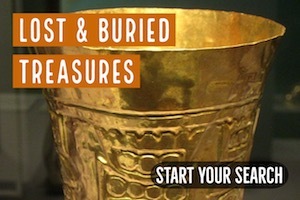 Pershing County, Humboldt County, and Elko County have numerous areas where you can metal detect and find gold nuggets. The Rye Patch Placers near Imlay is one of the most popular prospecting areas in the country, and still produces some good gold. New Hampshire has a good amount of gold for an eastern state. The most popular areas are the Ammonoosuc River and Wild Ammonoosuc River. Some nice sized gold nuggets have been found here. 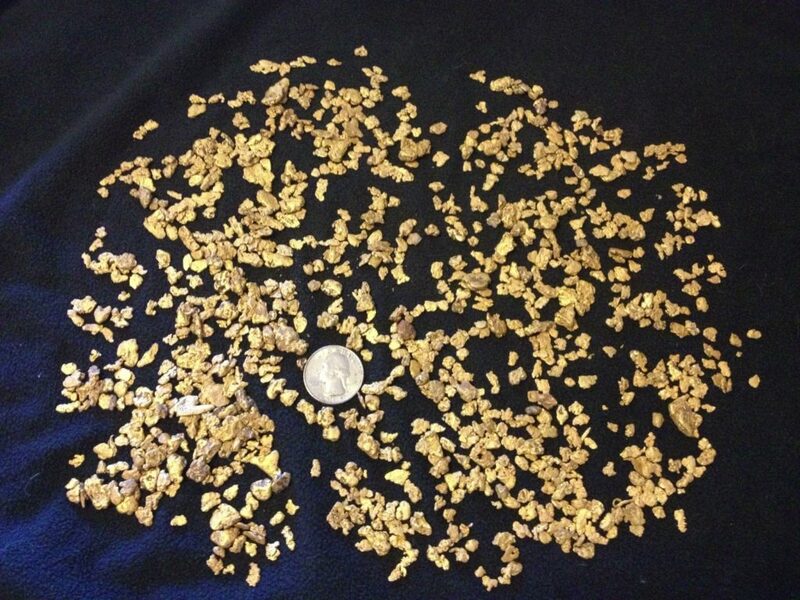 Many other small creeks will yield placer gold too. There isn’t much information out there about gold in New Jersey. Sussex County has some reports of gold. Deposits are pretty limited here. There are a lot of places to find gold in New Mexico. Prospecting isn’t nearly as popular here as in neighboring Arizona, primarily because the gold is smaller and large nuggets aren’t very common. Thus, metal detecting can be difficult. Drywashing is the most effective mining method in New Mexico. Once you have dug down and reached bedrock, check the areas with a Gold Bug 2 and you might pick up a few small nuggets on bedrock. Hillsboro, Pinos Altos, and the Elizabeth/Baldy mining district are the best-known areas, but there are plenty others. New York is an interesting state because it has a strange law that says that any precious mineral found (gold/silver) belongs to the state! As a result, you don’t hear a lot of people sharing there finds, and specific info is fairly limited. There is still some gold though, and I have never actually heard of this law being enforced by anyone. This state is the home of the first documented gold discovery in the United States. It is one of the best states in the East to prospect, and the mining area is fairly extensive. Gold is found in an area known as the Carolina Slate Belt that runs through several states. 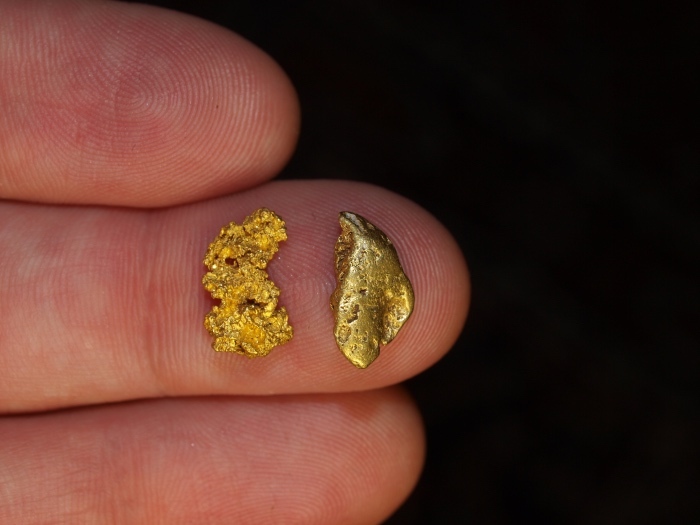 The Reed Gold Mine has produced many large nuggets, and the surrounding area has gold. Do your research and prospect within the slate belt for the best results. North Dakota doesn’t have much gold. You’re probably better off heading south to the Black Hills of South Dakota for a richer gold area. Glacial gold deposits can be found in Ohio, and there are some pretty active mining clubs here. The gold is fine, but it is widespread and many rivers and creeks will produce gold. 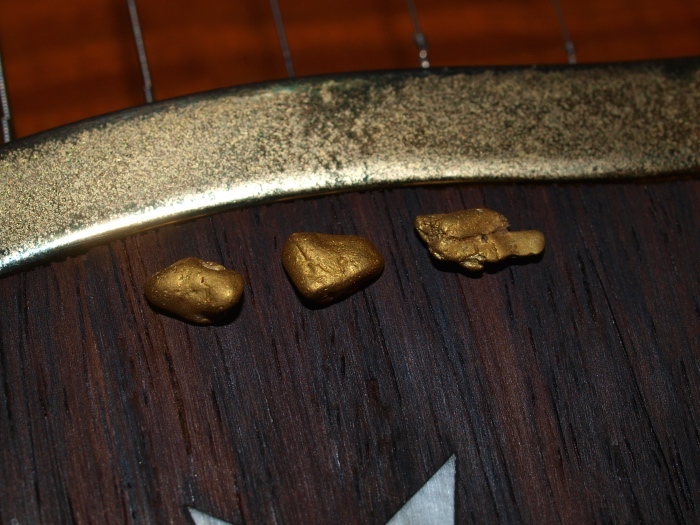 For best results, use careful panning methods, or better yet use specialized equipment that is designed for fine gold recovery. Search the exposed gravel bars when water levels are low. Gold will often hide within clay layers and on false bedrock. Prospecting isn’t very good in Oklahoma. There are some reports of gold in the Wichita Mountains. I wouldn’t expect to find much here. There are two large gold belts in Oregon. One is in the Blue Mountains of Eastern Oregon, and the other is in Southwest Oregon. Eastern Oregon is responsible for the majority of the state’s gold production. The Burnt River, John Day River, and Powder River were very rich and produced millions of dollars in gold over the years. Many miles were churned up with bucket line dredges. In southwest Oregon, the Applegate River, Illinois River, South Umpqua River, and Rogue River all have rich gold deposits. Southern Oregon is also “pocket country” were gold can be found in very rich, isolated pockets. Some of these pockets have resulted in thousands of ounces of gold. York and Lancaster County are the best-known areas to prospect in Pennsylvania. Most of the gold is fine textured, brought down from Quebec during past glacial events. There were a handful of small, commercial gold mines in Rhode Island. The Durfee Mine in Providence County was one of these mines. The South Foster Mine near Cucumber Hill was another of these mines. Although not particularly rich, there was gold found here. The Carolina Slate Belt runs right through South Carolina, so there are plenty of good areas within the state to pan for gold. The Haile Gold Mine is the largest in the state, and it produced over ¼ million ounces of gold! The Broad River, Saluda River, and Little River all had extensive mining during the 1800s. Locate the historic gold mining areas and you will still find some gold in these areas. South Dakota is well-known for gold mining. The famous Black Hills contained some of the richest ground in the entire country. 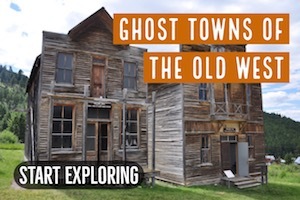 Deadwood and Lead were some of the mining towns that sprang up. The Homestake Mine is the single richest gold mine in the history of the U.S. It produced over 20 million ounces of gold in total before mining stopped. This would not be a very noteworthy state for gold prospecting if not for the gold deposits found at Coker Creek and the Tellico River. This small area in southeastern Tennessee has produced a good amount of gold over the years. Despite covering such a large area, Texas doesn’t have very many areas with gold. One exception is the Llano River. All of the gold bearing areas are on private lands, so you will need to get permission. 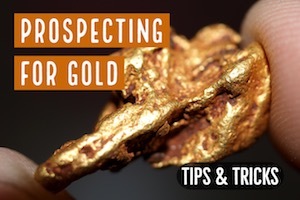 Your best bet is to join a local prospecting club. There is certainly plenty of gold in Utah, but it would generally be considered one of the poorer states in the West for gold prospecting when compared to its neighboring states. The Kennecott Copper Mine near Salt Lake City has produced millions of ounces of gold, but the amount of gold must be considered in relation with the size of the mine (the largest open pit mine in the world). There is some decent gold in Vermont. Ottauquechee River, Rock River, Williams River, White River, Mad River, and Little River will all produce some gold for a hardworking gold panner. 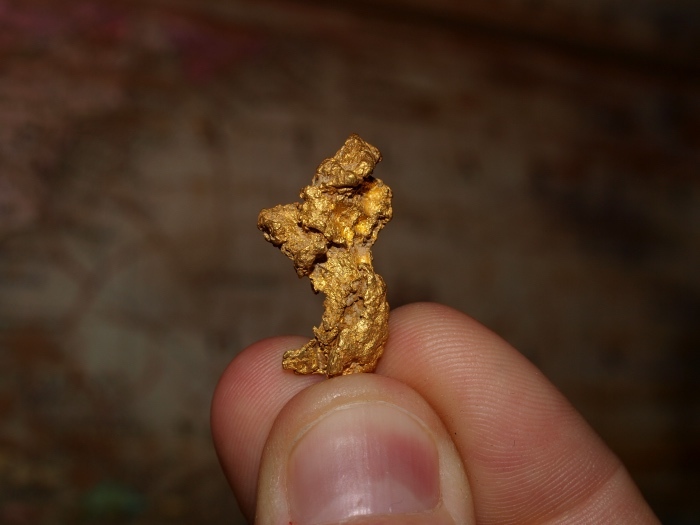 The gold here is usually fine, but I have seen some decent “pickers” and even small nuggets that were found in Vermont. Virginia has the Carolina Slate Belt running right thought it, so there are many rich gold mines here. The Franklin Mine in Facquier County was one of the richest, but there were many, many others. Any of the creeks or rivers in the slate belt will likely result in some gold if you search long enough. Most of the gold production in Washington has come from the mines in the north-central section of the state, but placer miners will have the most luck in the Cascade Mountains and also near the town of Liberty. Liberty is well-known with gold miners because it is one of the few areas in the state where large gold nuggets have been found. 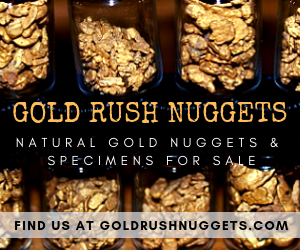 Nuggets weighing several ounces were common when the gold rush first started. 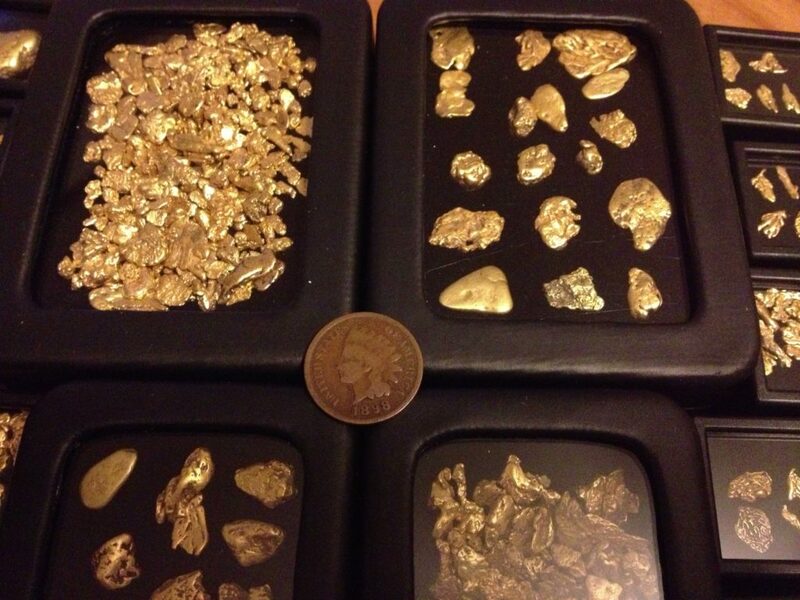 There are also some very nice crystalline gold specimens that come from Liberty. The surrounding creeks are good for panning. 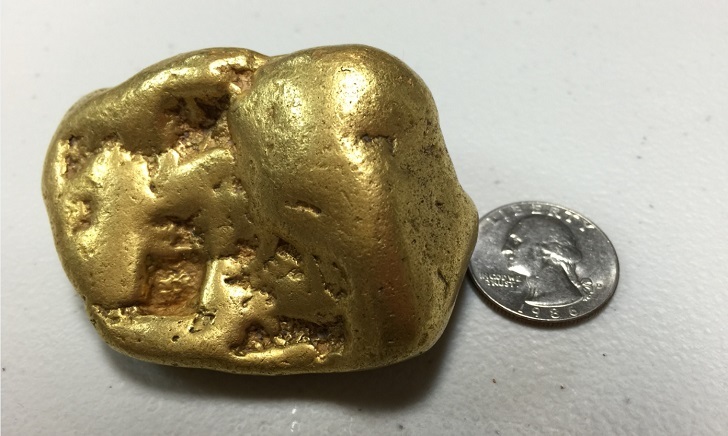 A huge gold nugget found recently in Washington. Big nuggets like this are exceptionally rare, but this town has actually produced quite a few of these over the past century. This is a poor state for prospecting. There is very limited detail on any gold occurrences in West Virginia. You’re better off traveling to Virginia if you want to get into gold country. Wisconsin isn’t a very good state for gold prospecting. Despite being covered by glaciers and most likely having some glacial gold deposits, there isn’t much info on gold being found here. If I were prospecting in Wisconsin, I would be looking for copper, rather than gold. There have been copper nuggets found that weigh several tons that would be worth a considerable amount. Wyoming has produced its fair share of gold over the years. The richest mining area is the South Pass/Atlantic Mining district on the southern end of the Wind River Mountains. Good gold has been found here over the years. There are many other areas to explore. One of the nice things about Wyoming is that there aren’t many people here, which means that it hasn’t been prospected nearly as much as most other states. I suspect there are going to be some sizable gold discoveries made in Wyoming in the decades to come.